Request more information about the The Main House or one of our events using this form. Please provide your email address so we can get back to you. 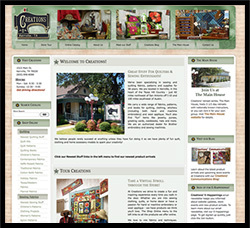 The Main House is Creations' beautiful retreat center with a sewing studio, lodging rooms and dining facilities for up to 24 guests. Visit our Upcoming Events page to find out about the multi-day retreats, classes or special events scheduled for The Main House. Our 2019 Retreat Schedule is now available. 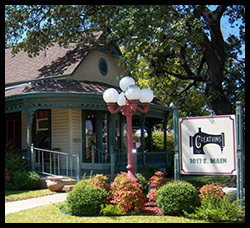 Reserve The Main House for your own group! Group reservations for up to 24 people are now being accepted through December 2019. To get started with the reservation process, click the Rent It Now! button above. 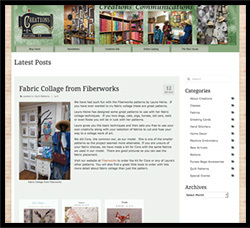 The Creations Communications Blog is the place to keep up with the latest happenings at Creations and The Main House. 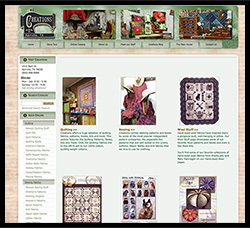 You'll find information on the latest new products and upcoming classes, retreats and events, so visit the Creations Blog to keep abreast of what's happening.